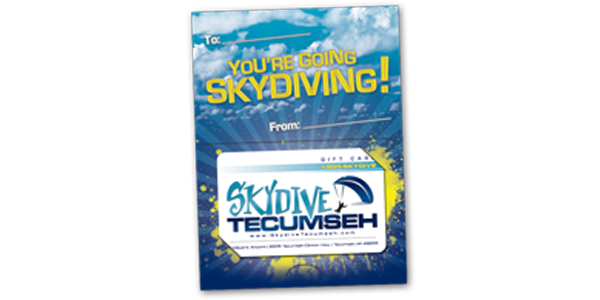 Book Your Michigan Skydive Online Now! So you’re ready to Experience Human Flight? Awesome! You’re going to love it. Select your skydiving adventure below and book your jump online in minutes with our secure online reservations system. 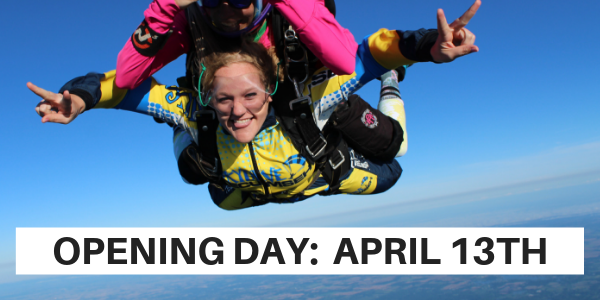 Have a few questions you’d like answered before making your skydiving reservation? No problem! 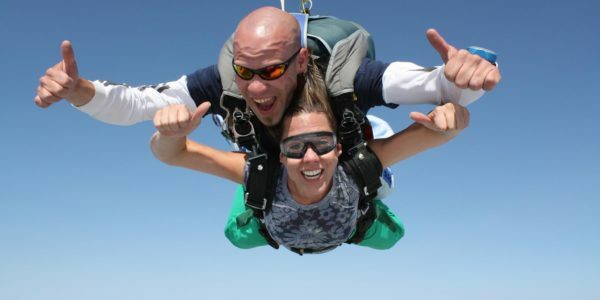 Our team members would be happy to answer any questions you may have about skydiving with us. 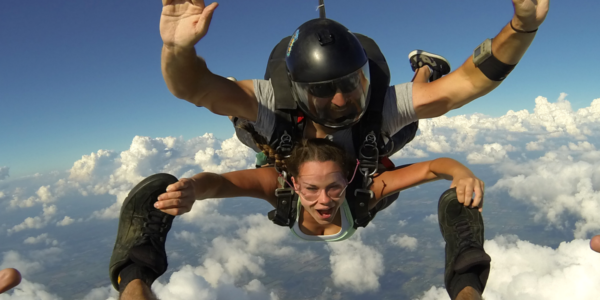 Simply give us a call at 517-SKYDIVE or contact us today! This is your entry point to the sky! Experience the thrill at a lower price point. Our most popular option! 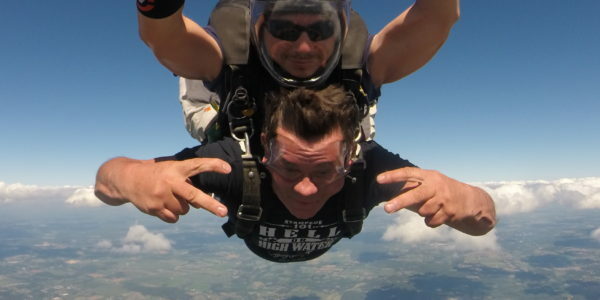 A full minute of free fall from 14,000 feet! This is the ULTIMATE! The highest jump in Michigan from 18,000 feet! After a day of training in our classroom, you will be prepared to make your first skydive. 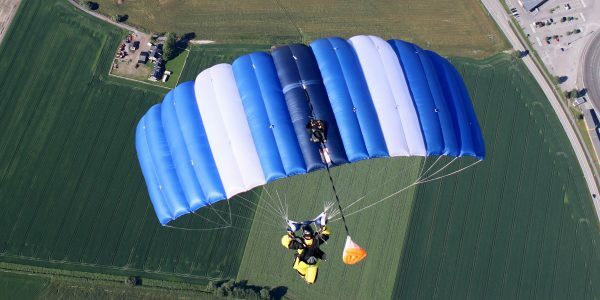 During your first few jumps, you will be as­sisted by two instructors who will be there to observe your skydive and guide you through the process. In freefall, your instructors will use hand sig­nals to communicate with you, helping you correct your body position, maintain altitude awareness, and stay relaxed. Instructor Assisted Deployment is one of two methods to help you achieve self-supervised status. IAD begins your training from the bottom up, you'll start with a skydive from 3,500 feet, then progress to higher altitudes! Give the greatest adventure in the world as a gift! (You'll be very popular). 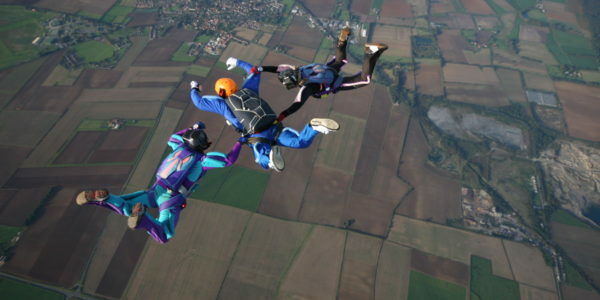 Purchase a certificate towards the total price of a skydive or purchase the entire experience.